Broadway actor who supplanted Lin-Manuel Miranda for the lead role of Alexander Hamilton in the critically acclaimed musical Hamilton after Miranda left the show. He was initially Miranda's alternate for the part. 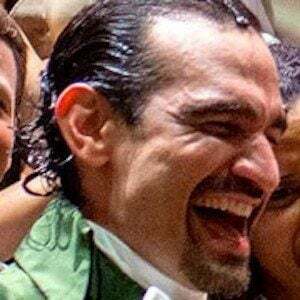 He previously starred on Broadway in In the Heights. He was a member of the drama club in high school, and would earn his Bachelor of Fine Arts at New York University. In college, he joined the professional musical theatre company CAP21. He was a cast member of the off-Broadway musical All is Love. He briefly worked as a full-time restaurant manager in between his off-Broadway role and audition to be in In the Heights. He is from a Puerto Rican family, and would grow up in Brooklyn, New York. Before taking over the role of Alexander Hamilton full-time, he filled in for Miranda on nights that Barack Obama, Beyonce and Jay-Z all saw the musical.